The language appears to be Serbian (which I don't read), but what is it. From the context, I'd say church-related, but... It is in silver with quality enamel. 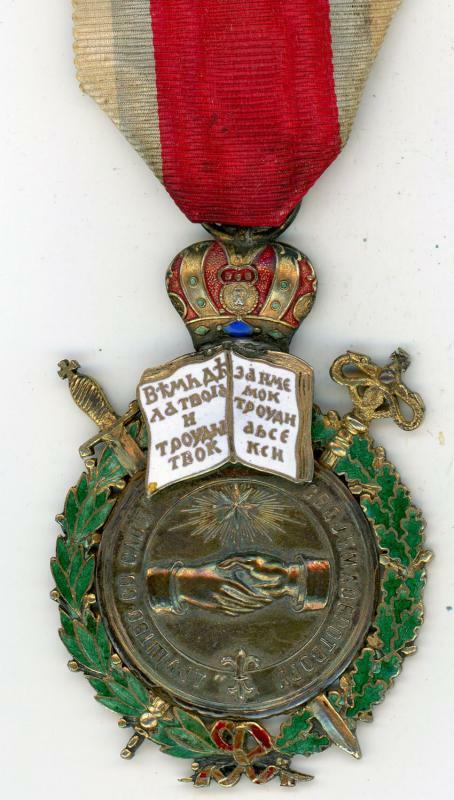 That is very rare Medal of the Saint Sava Society first awarded to it's members benefactors. 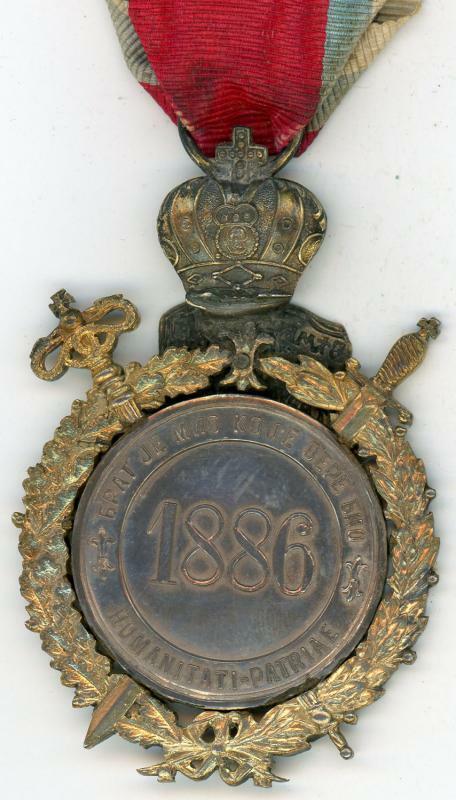 The society was established in 1886 and the medal was introduced in 1888. On the front side is written: Друштво Св. 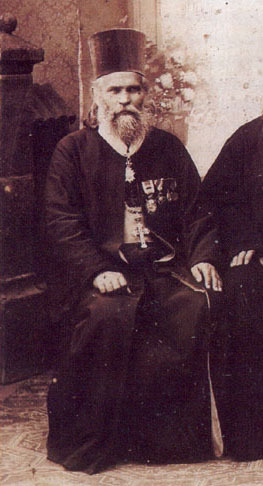 Саве (St. Sava Society) - Своме добротвору (To benefactor). Оn the back: Брат је мио које вере био (Brother is dear regardless of his faith - Originally it rhymes, this is not the best translation but I can't think of better) - Humanitati-patriae. Many thanks for the information. 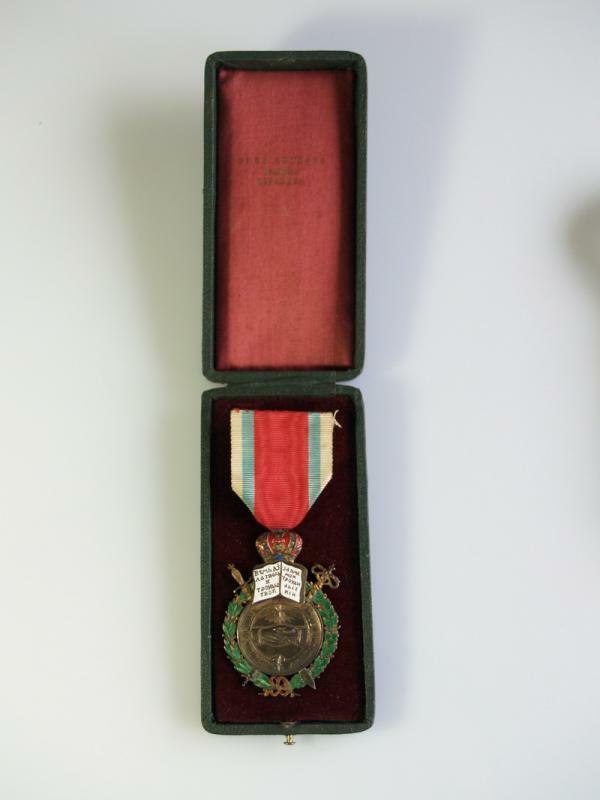 I have never seen the medal before, so any help is great. The inscription in the obverse (the white enameled book) is in Church-Slavonic and reads: I know of your endeavours, you have laboured for the sake of my Name. What a beautiful medal, certainly something I have never encountered before. 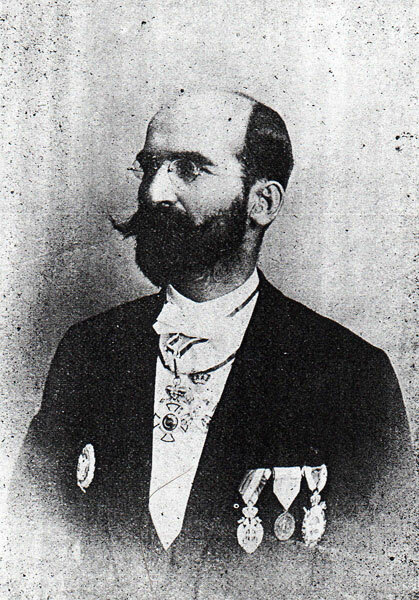 Here's one cased example, I think from the Stojanović collection website. 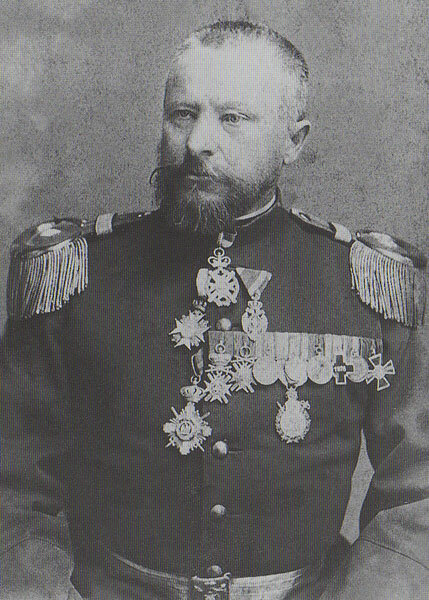 Milojević Miloš (Mилојевић Милош) as major wearing the medal. One more medal but also photo of a document issued with it.